Bharat 2nd Poster OUT: We're Caught In This Circus Of Salman Khan & Disha Patani's Appealing Looks! 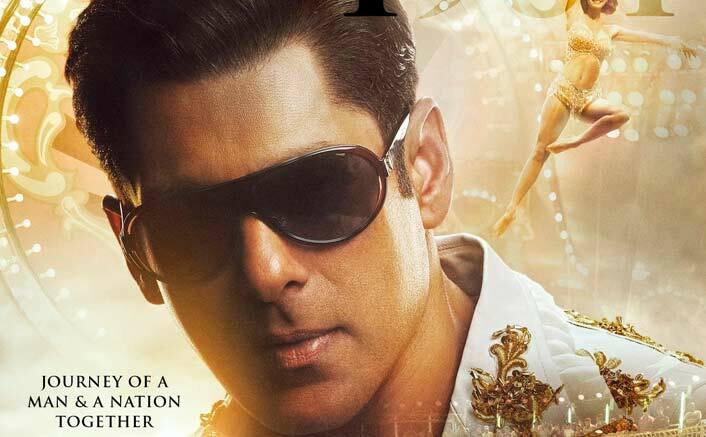 Home » Bollywood News » Bharat 2nd Poster OUT: We’re Caught In This Circus Of Salman Khan & Disha Patani’s Appealing Looks! Bharat 2nd Poster is here and can we say it’s better than the one we saw yesterday? After the 2010 look of Salman Khan’s character in the film, the makers have unveiled the actor’s look from 1964. The poster showcases our Dabangg Khan looking totally kickass with black shades and there’s too much happening in the background of it. On one hand, we get a glimpse of Disha Patani as a trapeze artist, and we see what is commonly called ‘Maut Ka Kua’ towards the lower end of the picture. With so many hints to upcoming surprises, are y’all excited? Before this Salman Khan and Ali Abbas Zafar have collaborated for two of the highest earning movies of Blockbuster Khan – Sultan and Tiger Zinda Hai. Ali knows how Salman’s fans like him and it’s a very rare chance he will take any risk with the same. Salman Khan in Tubelight was a bad news because majority of his fans weren’t ready to let go of his macho avatar and his trademarked swag. In Bharat, bhai sports five avatars and let’s hope none of them is just for the sake of it. While the film’s teaser showcased five different looks of Salman, his salt-and-pepper look was kept under wraps. The first poster also shows actor Jackie Shroff in the backdrop. He is playing Salman’s father in the film. Bharat is an official remake of a Korean film An Ode To My Father. It depicts the history of India through the life of an ordinary man. Along with Salman, the film also stars Katrina Kaif, Disha Patani and Tabu in the lead roles. It is directed by Ali Abbas Zafar. The film will release on the occasion of Eid.